My Dad is the greatest guy. He’s young at heart and full of forgiveness. He’s always been one of those Dads that other kids wanted to be around. I miss him, now that I’m far away in CO and he’s still in NY. But, there will always be a soft spot in my heart for my Dad. 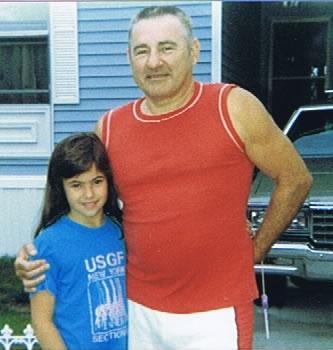 This picture is one of my favorite – it’s my Dad with my oldest daughter when she was about seven. This is how I will always remember him – as this ‘guy’ – the one who made all the kids happy to be kids. This Dad was warm, happy, funny, full of laughter, and always ready for a camping trip. Up with Dads everywhere!